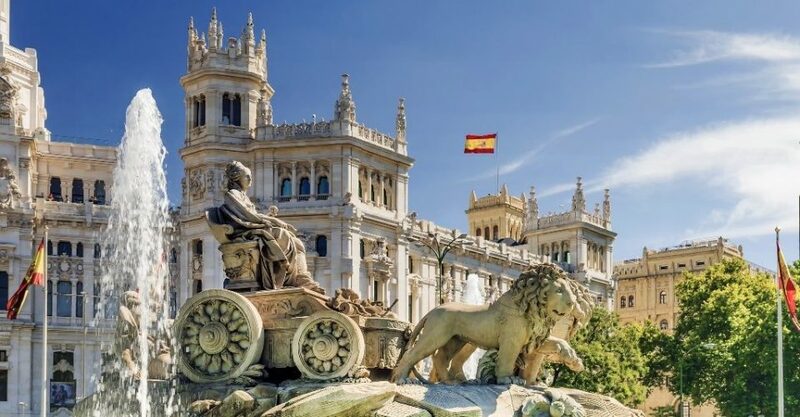 Madrid – a vibrant metropolis that combines the old with the new, Spanish heritage with foreign culture, as well as traditionally ideas with modern twists. Regarded as the financial hub of Spain, whilst also serving as a historical capital, Madrid is a city of contrasts, and had an unforgettably unique atmosphere. 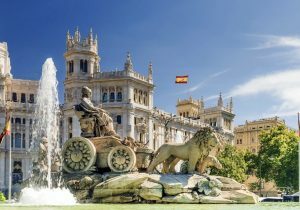 This two day Madrid itinerary will take you from its oldest heritage, such as the Royal Palace and Temple Debod, all the way to its more contemporary quirks, such as the Gran Via. 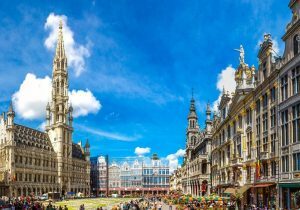 Like most European cities, there is so much to explore, but this concise two-day itinerary will help you to get the most out of your trip. One of Madrid’s foodie favourites is Churros con Chocolate, an indulgent and delicious breakfast for those with a sweet tooth. Churros are doughy and sugary sticks, that may be dunked in huge cups of thick melted chocolate. 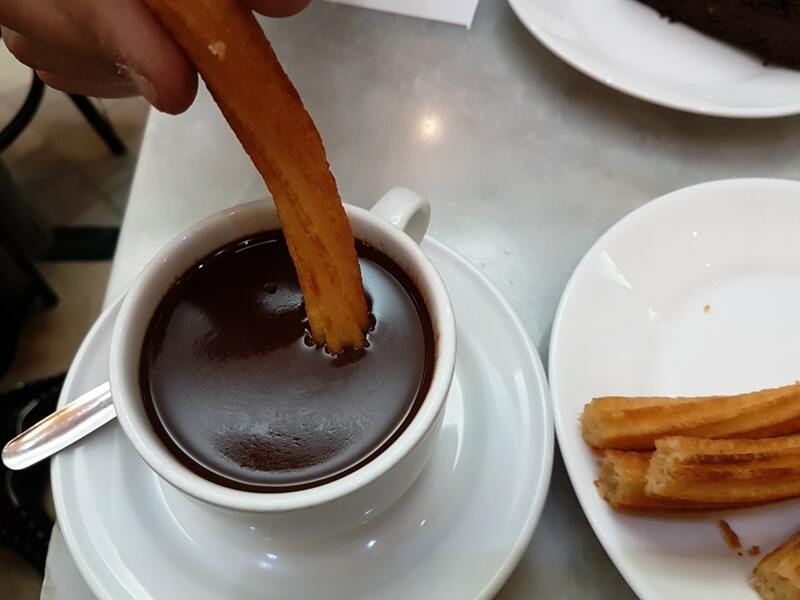 The best place to try this dish is Chocolateria San Gines; opened in 1894, this is the ultimate place to start your Madrid experience, as the churros are irresistible, reasonably priced, and the atmosphere is vibrant. After breakfast, head towards the Royal Palace of Madrid; however, take your time in getting there, as one of the most charming things about the city is watching it come to life in the morning. 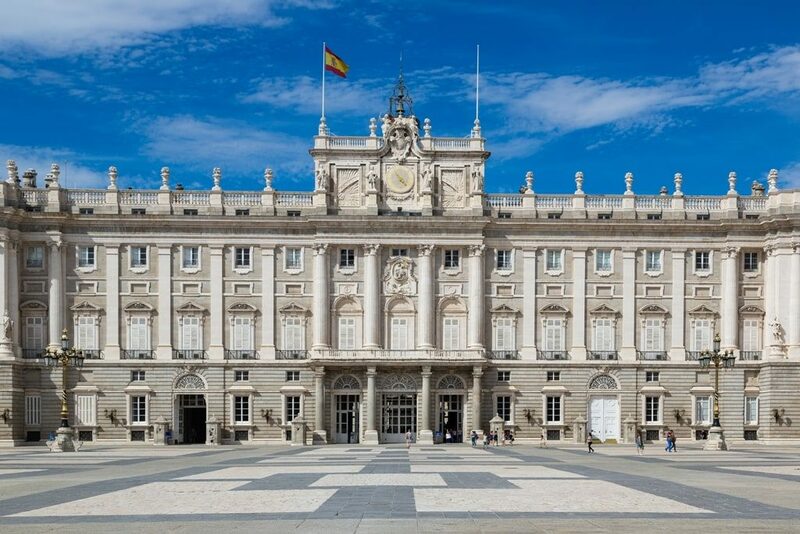 The Royal Palace of Madrid is the official home of the Spanish royal family, and has an extensive history to it. 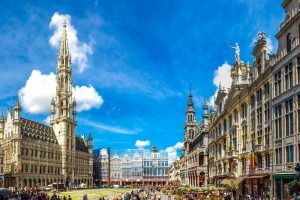 With the title of the biggest royal palace in Europe, and boasting a whopping 2,800 rooms, it is definitely a draw-droppingly beautiful building. Visitors are able to go inside certain parts of the palace, as well as wander around the extensive gardens. By getting to the palace at 10am, which is when it opens, you will hopefully be able to avoid the tourist crowds that often come later in the day. Nestled in the heart of the city lies Mercado de San Miguel, a stunning covered market filled to the brim with a selection of Spanish food and drink. The market is the perfect place to sample local delicacies and wines, as well as to experience an atmosphere that consists of both tourists and locals alike. Some of the best stalls to visit for lunch include How Beautiful is Panama, Uvepan and The Yogureria. Walk off your wholesome lunch by strolling down Madrid’s central shopping street, the Gran Via. Here you can find lots of major shops and restaurants, in Art Dec and Art Nouveau style buildings. Known as the Spanish Broadway and the Street that Never Sleeps, the Gran Via certainly has a unique atmosphere to it. After relaxing in the park, head towards Plaza Mayor, Madrid’s most famous and iconic square; united by nine different entry points, the Plaza is the perfect place to experience a great atmosphere, particularly in the early evening. 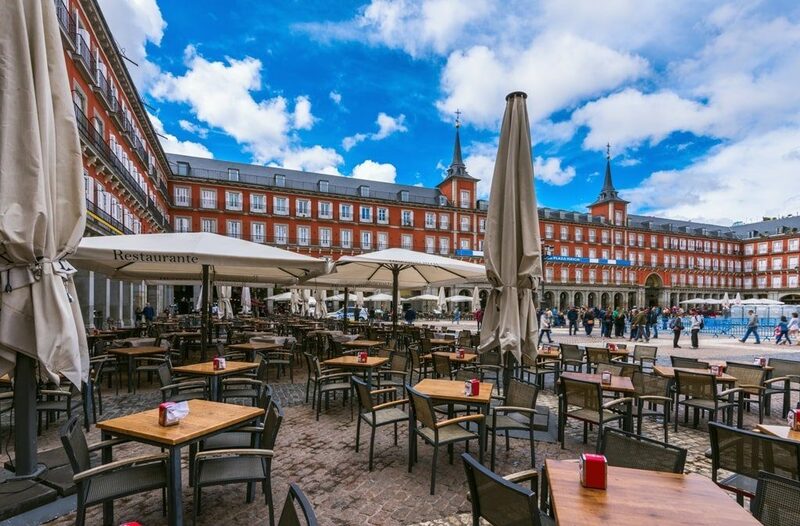 There are lots of lovely restaurants and bars surrounding the square, which offer incredible views; take some time to sit and admire the authentic Spanish architecture of the square. 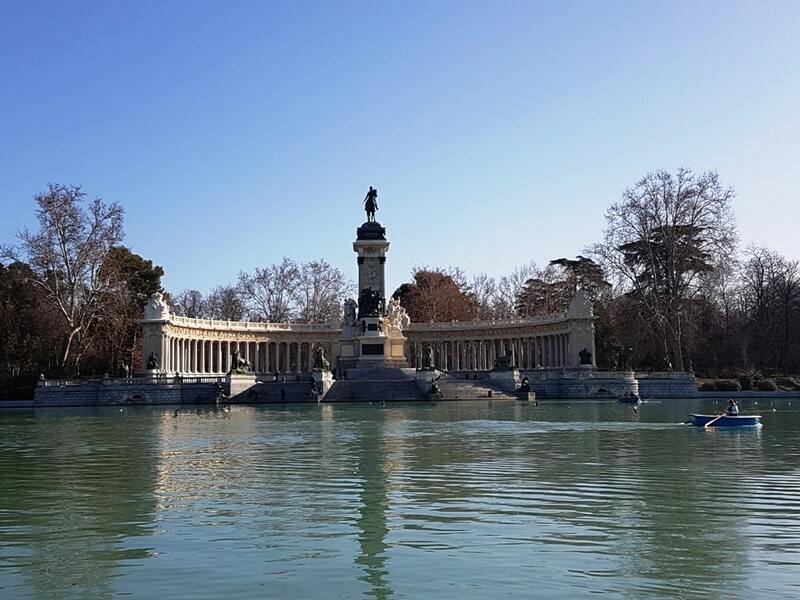 Eventually, the Gran Via will lead to Retiro Park, a beautiful and famous greenspace with an abundance of hidden gems and things to do. For example, a must on the list is the Paseo de la Argentina, otherwise known as the Statue Walk, which as the name suggests, is a row of statues in a gorgeous setting! Afterwards, head to the lake to do some people-watching, relaxing and maybe even taking a boat-trip! 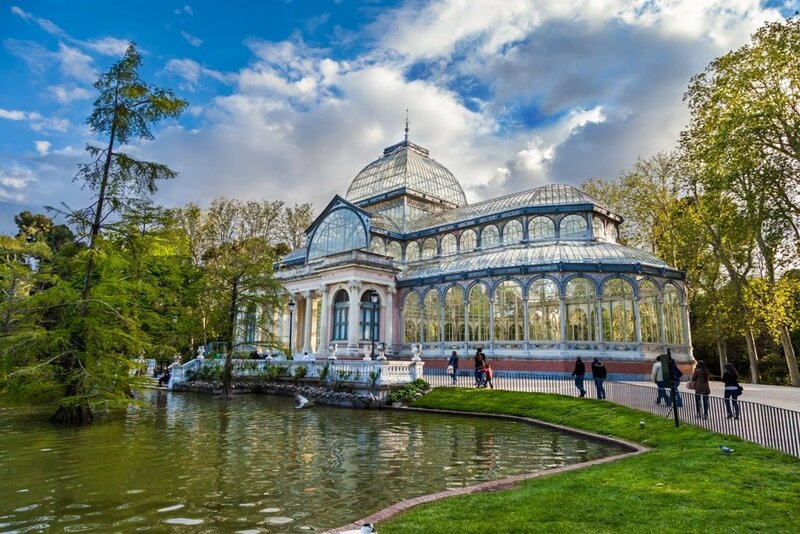 Nestled in the heart of Retiro Park is Palacio de Cristal, a stunning glass palace inspired by London’s Crystal Palace. The Palace was created in 1887, and its breath-taking beauty and lakeside location remain timeless; entrance is free. 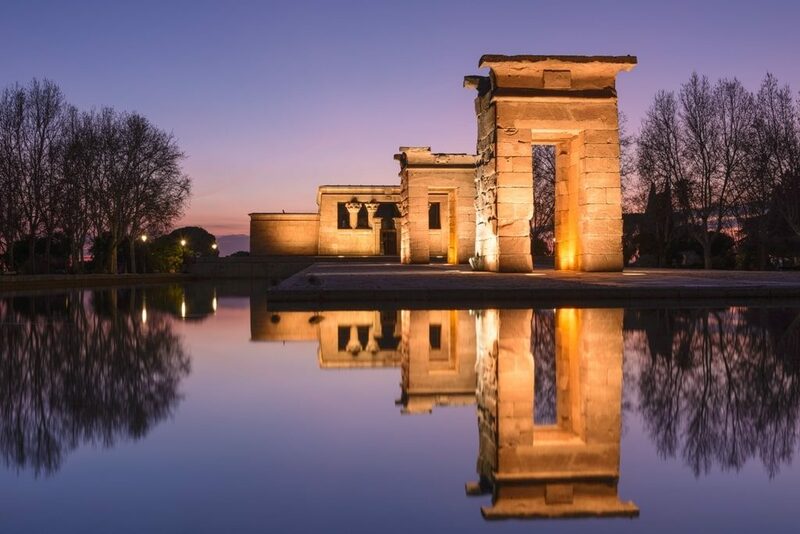 Although Madrid has many beautiful places to view sunset from, perhaps the most astonishing is Debod Temple. Located in the West Park, this temple is from ancient Egypt which was rebuilt in Madrid, and is from the 2nd Century. This is the perfect way to draw your first evening in the city to a close, and experience something that many tourists bypass. Admission is free as well! The surrounding area to the Debod Temple has an exciting atmosphere, and is the perfect place to sample some authentic Spanish food. 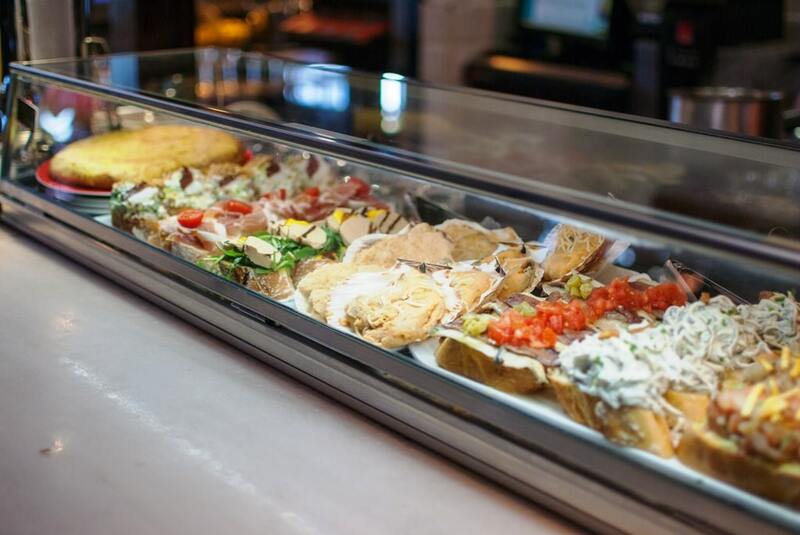 Head to Debod Pinchos y Tapas, which is only a short walk from the temple, and offers some of the city’s most irresistible tapas, which are small plates intended for sharing. There are so many places in Madrid that offer an amazing breakfast, and one of these is La General. Here, you can find irresistible, as well as reasonably priced, pastries and coffees. There are also hot food options too, such as the avocado toast, which is absolutely delicious! 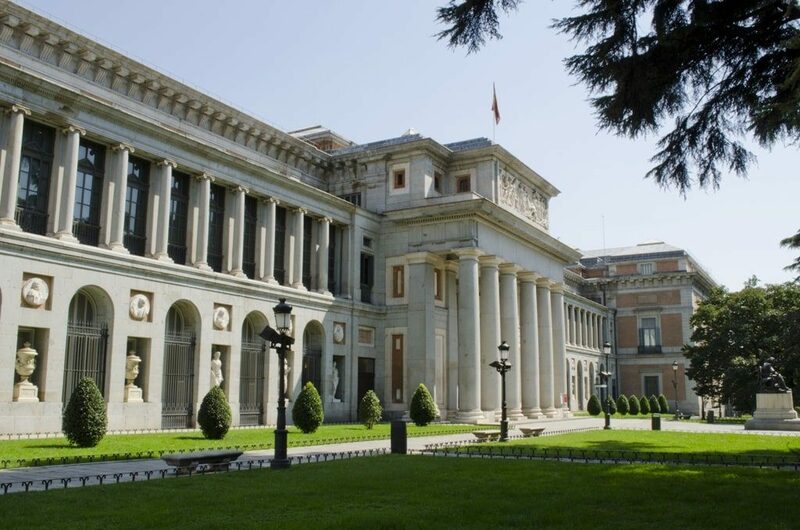 The best way to begin your second day in Madrid is by visiting perhaps its top cultural sight, the Museo del Prado. This is one of the greatest art museums, and has one of the most extensive collections of artworks, including works by Goya, Rubens, Raphael and many more. The museum opened in 1819, and is built in a neo-classical style. You could spend hours wondering around this gorgeous museum, as there is simply so much to see! Founded in 1725, Botin is the world’s oldest restaurant. Centrally located just off of Plaza Mayor, the restaurant truly feels as though you are stepping back in time; its tavern style and authentic-looking interiors gives you a taste of its original set-up. The food itself is gorgeous, and quintessentially Spanish; its most famous dish is the suckling pig, which, like many other of the restaurant’s dishes, is cooked in the original wood-fired ovens. 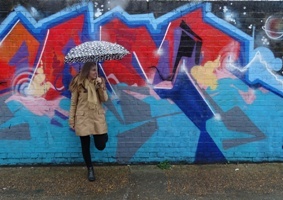 This neighbourhood is the city’s most upmarket area, where you can find snazzy bars, restaurants and designer shops. 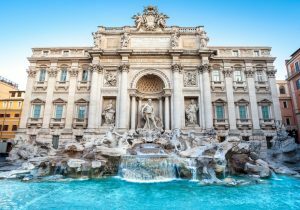 Even if you aren’t looking to splash out on some designer outfits, this district is perfect to wander around, as the architecture is beautiful, and there are lots of little side streets that hour independent boutiques. 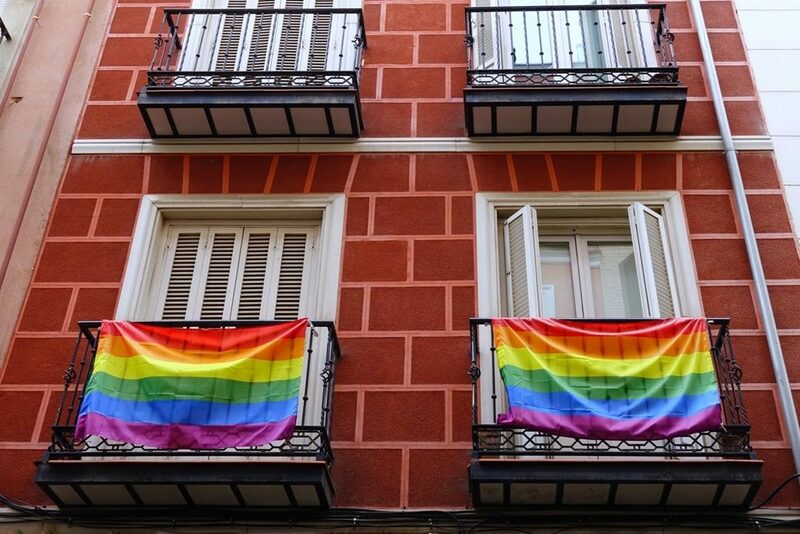 One of Madrid’s most eccentric and fun neighbourhoods is Chueca, otherwise known as the LGBT neighbourhood. Here, anyone is welcome, and there are an array of quirky bars, restaurants, cafes and shops, catering to all sorts of quests. This is the ideal place to come and visit, simply to soak in the atmosphere. 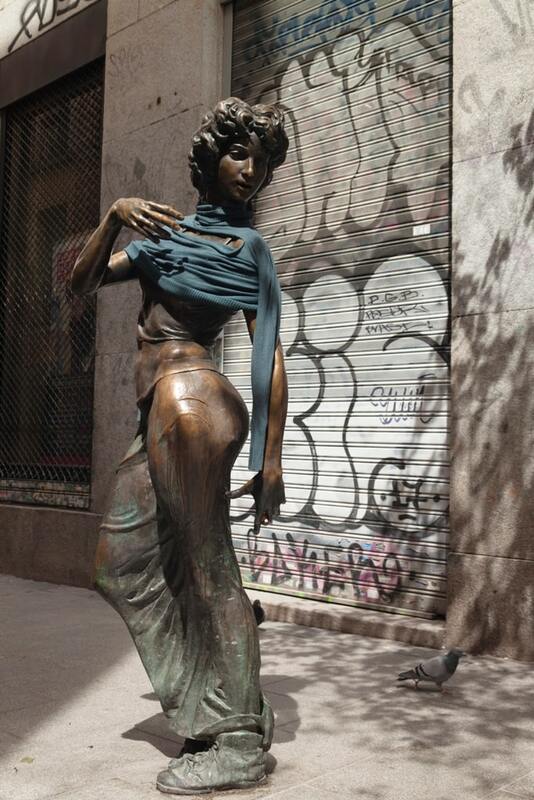 Nearby to Chueca is Malasaña, perhaps the city’s trendiest neighbourhood. Here you can find an array of vintage shops, which are housed in buildings covered in bright and colourful wall-art, which gives the area a really laidback and youthful vibe. Spend your final evening in what is often regarded as the heart of Madrid, Puerta del Sol; it is a place where everyone gathers, and is particularly wonderful in the evening, due to the abundance of street performers and groups of visitors. There are also lots of bars, cafes and restaurants around this area, as well as popular shops. Just a short walk from Puerta del Sol is the restaurant Rosi La Loca Taberna, which is rated the 59th best restaurant in Madrid on Trip Advisor. This colourful eatery provides traditional Spanish dishes with great service, at a very good price. There are many restuarants in the city that are designed solely for tourists, and this certainly is not one of them; visit Rosi La Loca Taberna for an authentic experience. 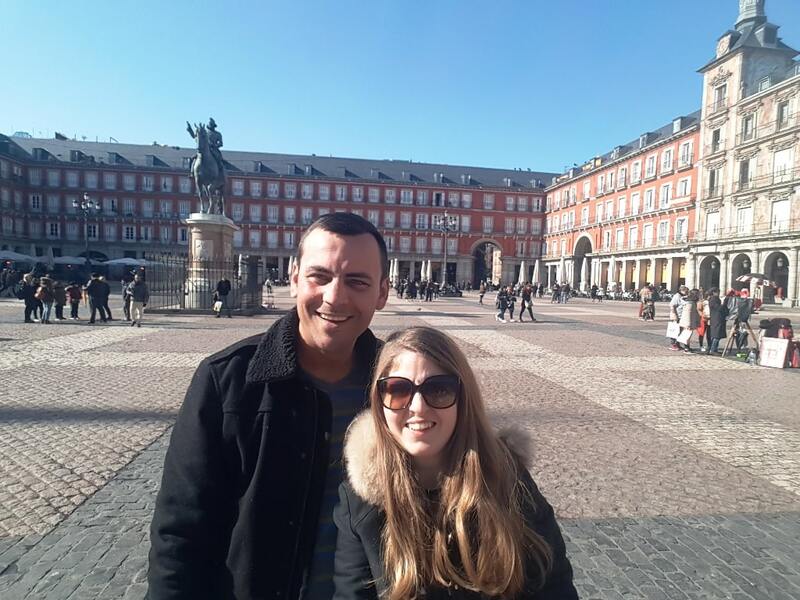 Though Madrid has so much to see, one of the most enjoyable, and as you will discover, memorable parts of your trip is simply wondering round the beautiful side streets, and admiring the architecture, history and hustle and bustle of city life. When you leave Madrid, you will undoubtedly be craving another trip to the city, as you will feel as though there was always more to see, do and experience.